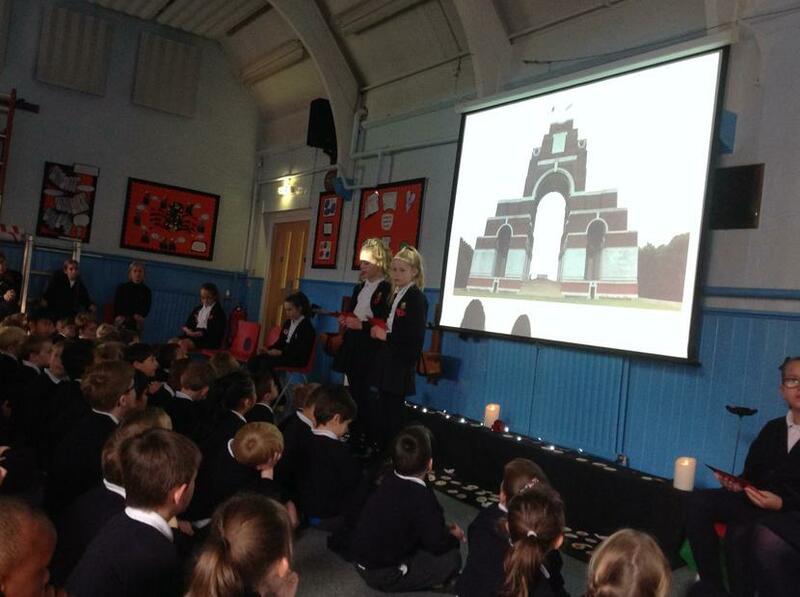 On Friday 9th November the school held a very special service to mark the 100th anniversary of the end of WW1. 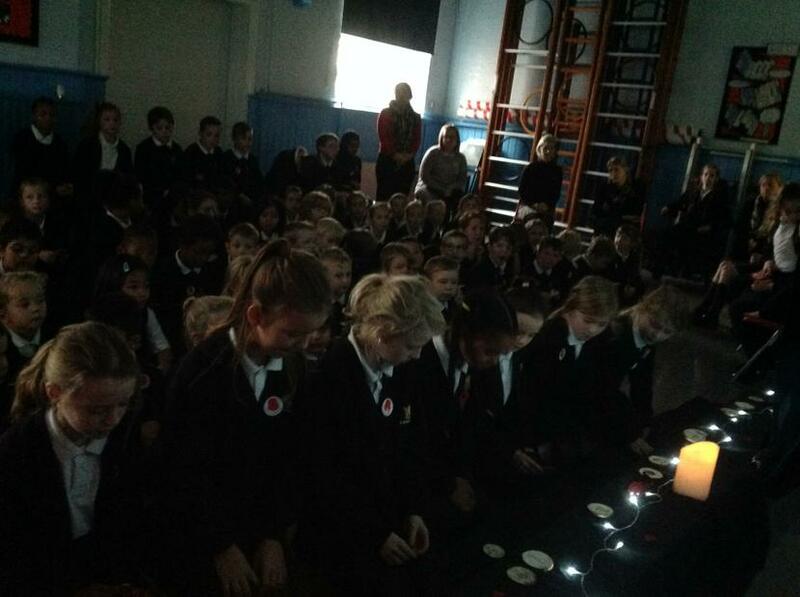 The service was led by the Year 6 pupils who read poems and told of the service men and women who lived in our local area. 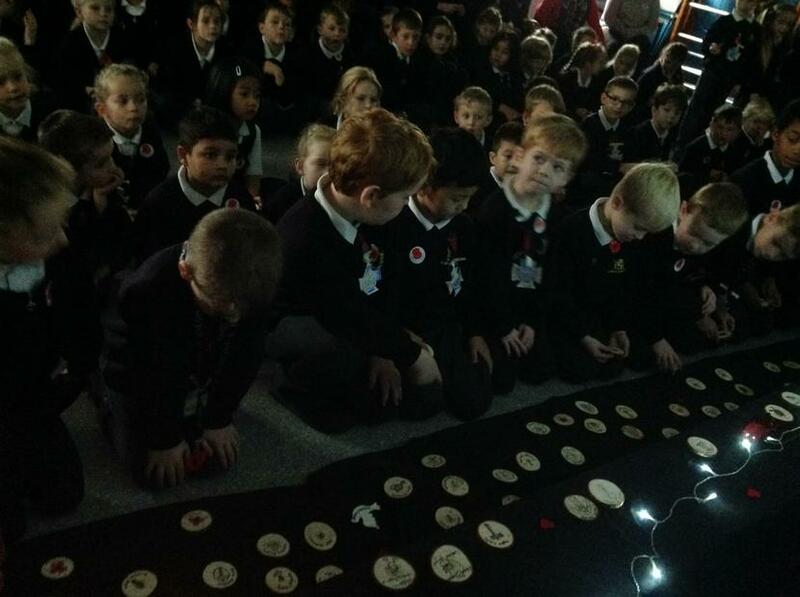 Each pupil lay down a symbol of remembrance which displayed the name of one those displayed on the WW1 memorial in the church. 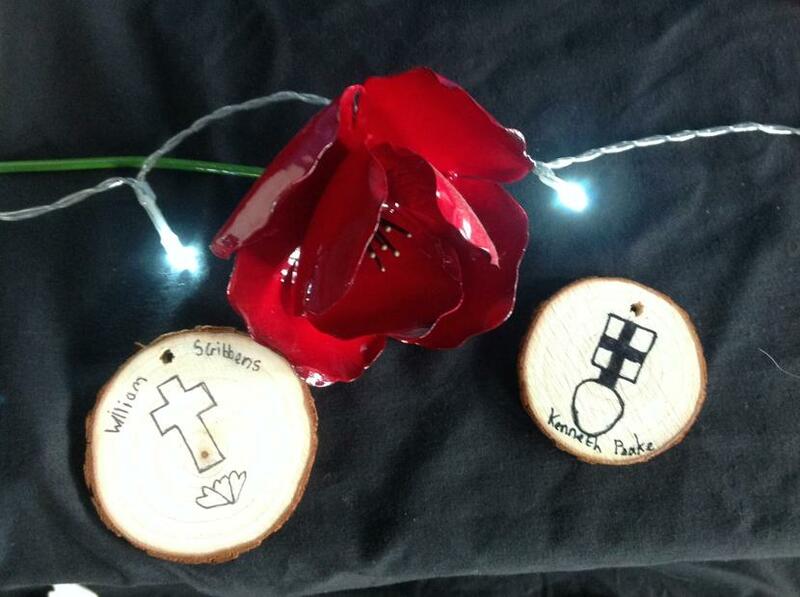 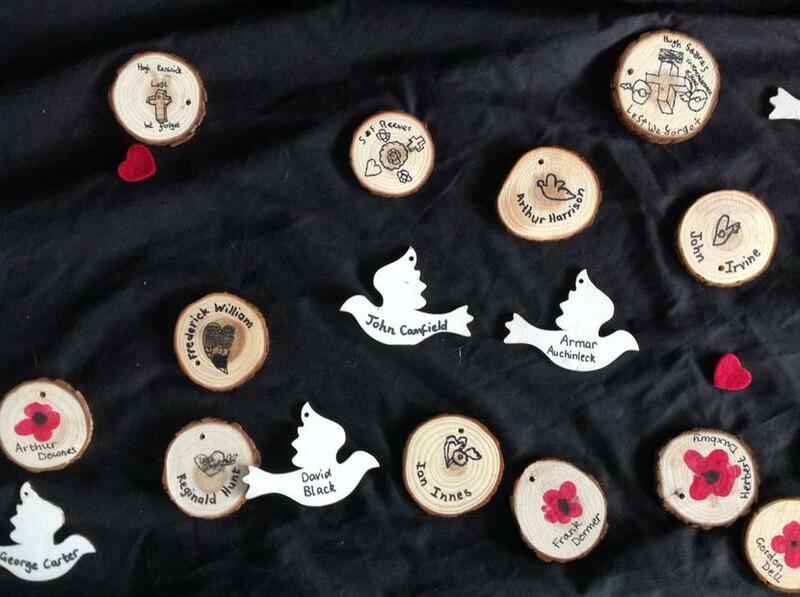 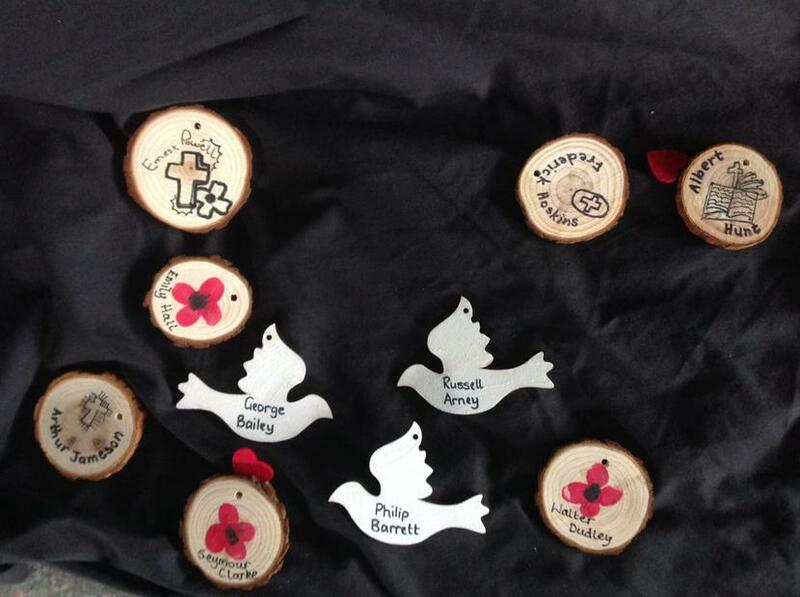 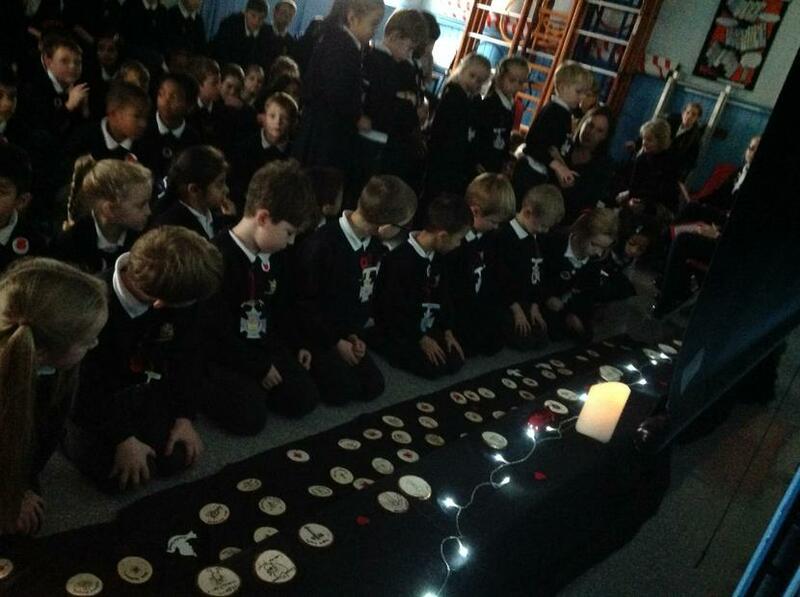 As each symbol was placed, the pupil read the name aloud to be heard and remembered. 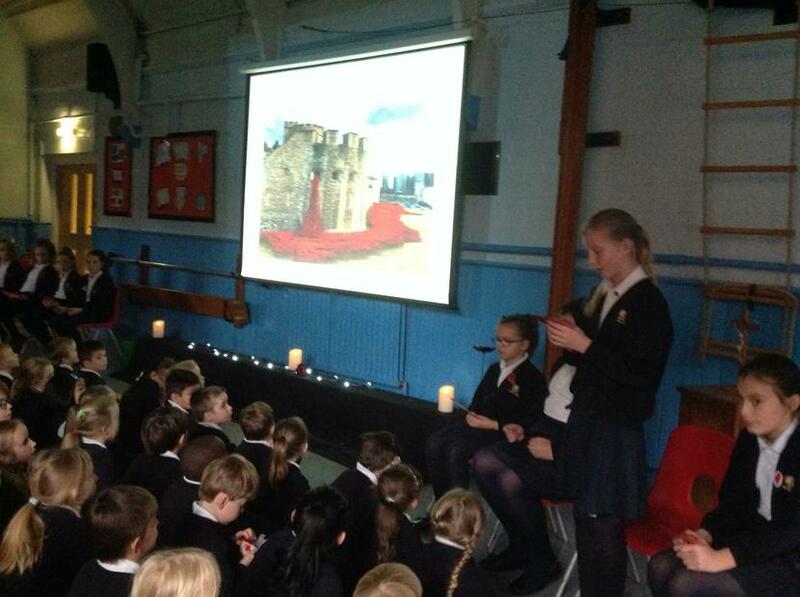 This was followed by two minutes of silence and the last post.